Shortarmguy's Crazy Emails: I've heard of toilet paper, but never a paper toilet! 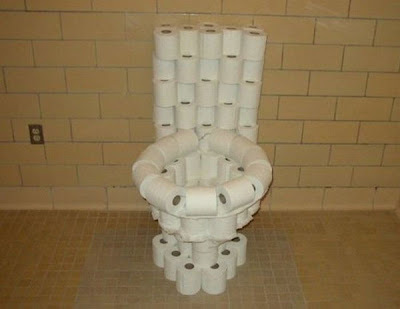 I've heard of toilet paper, but never a paper toilet! I dare you to cut him loose! Greatest Star Wars Action Figure Ever! Best costume of 2009 so far!